River of Heaven is now available via DriveThruRPG.com in both pdf, print (hard cover and softcover) and print/pdf bundles. 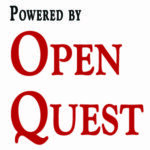 The OpenQuest rules engine – tailored to a hard sci-fi setting. An introductory adventure designed to get you up and running River of Heaven as soon as possible. It can be played as a one-off, or as the start of a campaign. 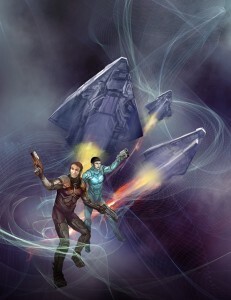 A Guild Stepship goes missing on a remote colony and a team from Special Circumstances is sent to find out what happened. A standalone adventure, with pregenerated characters that can easily be combined with the previous two adventures or dropped into an existing campaign. A short campaign, rules, background and articles to aid any River of Heaven GM. (eta Summer/Autumn 2015). Yes, River of Heaven has an accompanying soundtrack album, by my friend Keef Baker in his Slipdrive guise. Listen to it for free here and if you like it click on the link to buy via Bandcamp.